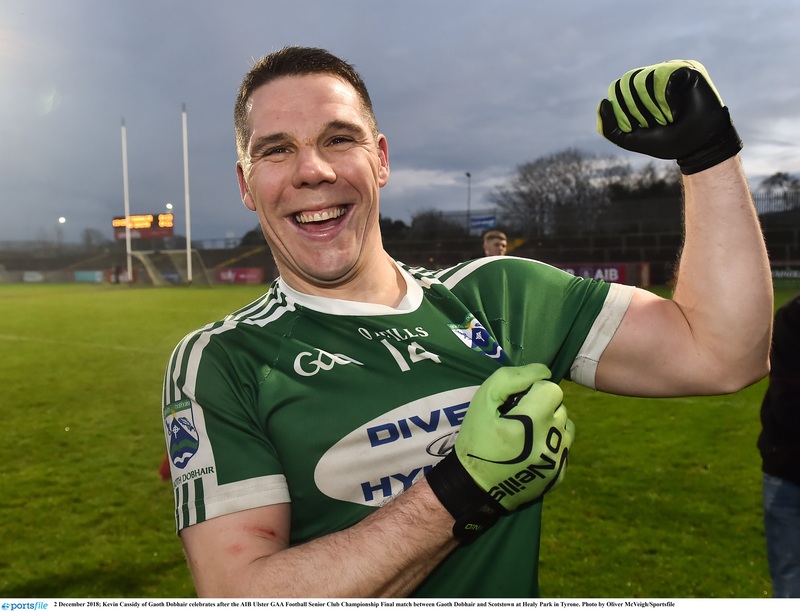 THREE Gaoth Dobhair players will receive AIB GAA Club Players’ Awards for football at a special function in Croke Park on Saturday night. Odhrán McFadden-Ferry, Kevin Cassidy, and Odhrán Mac Niallais have been recognised for their brilliant displays for Gaoth Dobhair as the Magheragallon club won the Donegal and Ulster Club titles and reached the All-Ireland semi-final. Cassidy has been shortlisted for for the 2019 AIB GAA Club Footballer of the Year award, along with Corofin duo Gary Sice and Kieran Molloy. Uachtarán Cumann Lúthchleas Gael John Horan said: “My congratulations to the players and the clubs who have been chosen for these awards on the back of what was another truly memorable AIB GAA Club Championship campaign. “Every year the club championship produces a treasure trove of highlights; great stories of club endeavour, great battles and inspirational displays and of people and communities making memories to last a lifetime. The team was chosen by a panel of national and regional media who considered outstanding performances over the provincial and All-Ireland series. The winner of the Footballer of the Year Award will be announced live on Saturday night at Croke Park and presented by Uachtarán John Horan.